Drum Brae Solutions Ltd has been re certified as a Cisco Select Certified Partner in UK. Drum Brae Solutions Ltd has met all requirements for renewing our Cisco Select Certification our your company has demonstrated that it is qualified to sell, install and support Cisco solutions in UK. Having been a Cisco partner for more than 5 years we are proud to offer our clients support for their Cisco solutions. 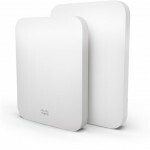 If you are interested in a webinar about cloud networking from Cisco Meraki then please get in touch. We can organise a specific webinar for you or schedule a live demo.Lots of our other customers rely on Meraki solutions with easy centralized cloud management of their entire wired and wireless networks.